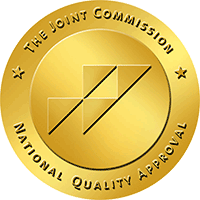 Our traumatic brain injury rehabilitation program has earned Disease-Specific Care Certification from The Joint Commission. Randy has held the positions of controller, vice president of finance, chief financial officer and was promoted to his current position of chief executive officer in July 2000. Since joining Encompass Health Braintree, formerly HealthSouth, in 1993, Randy has held the positions of controller, vice president of finance, chief financial officer and was promoted to his current position of chief executive officer in July 2000. He is a graduate of Northeastern University majoring in business administration. Dr. Williams has served as the medical director since 2009. Dr. Williams has been at Encompass Health Braintree, formerly HealthSouth, since 1998 and has served as the medical director since 2009. His undergraduate degree is from the University of Notre Dame and his medical doctorate was achieved from Rutgers Medical School. He was a research fellow at the National Cancer Institute in Bethesda, Maryland prior to completing his medical residency through Brown University School of Medicine where he held the position of chief medical resident. He was an early proponent of hospitalist medicine developing the original hospitalist programs at both South Shore Hospital andEncompass Health Rehabilitation Hospital of Braintree. Suzanne is a physical therapist by background, serving as a per diem physical therapist at Encompass Health Braintree prior to assuming the risk and quality role in 2016. Suzanne is a physical therapist by background, serving as a per diem physical therapist at Encompass Health Braintree, formerly HealthSouth, prior to assuming the risk and quality role in 2016. In addition, she has served as a full-time staff physical therapist at Bryn Mawr Rehab Hospital in Malvern, Penn. Before switching careers to physical therapy, she was a CPA working in corporate tax at CIGNA Corporation and at Price Waterhouse. Carol began her employment with Encompass Health Braintree, formerly HealthSouth, in 2000 as a case manager and was promoted to director of case management in 2001. Carol holds a bachelor’s degree in psychology from the University of Massachusetts and is a licensed social worker. She began her employment with Encompass Health Braintree, formerly HealthSouth, in 2000 as a case manager and was promoted to director of case management in 2001. She has worked in a variety of healthcare settings in a leadership social work/case management capacity for more than 20 years. Barry has more than 20 years of experience in accounting and financial management, including over 15 years of healthcare experience. Barry has more than 20 years of experience in accounting and financial management, including over 15 years of healthcare experience. He graduated from Dublin City University in Ireland with a bachelor’s degree in accounting and finance. In addition, he holds a graduate certificate in health center management from Suffolk University in Boston. Sandra has been an employee of Encompass Health Braintree, formerly HealthSouth, since 1990 where she has held various positions in the nursing department. Sandra has been an employee of Encompass Health Braintree, formerly HealthSouth, since 1990 where she has held various positions in the nursing department. She holds a master’s degree in gerontology, specifically in the management of aging services and is a Certified Rehabilitation Registered Nurse. As a physical therapist, Dan worked in the acute care setting, home care setting and acute rehabilitation setting. Dan earned his bachelor’s degree in physical therapy from Ithaca College in 1993. As a physical therapist, he has worked in the acute care setting, home care setting and acute rehabilitation setting. Dan served as the director of clinical services at Encompass Health Braintree, formerly HealthSouth, from 2000 to 2015. During that time, Dan earned his master’s degree in business administration at the University of Massachusetts in 2004. Dan transitioned into his current role of business development director in 2015. Kim has been a physical therapist for approximately 16 years. Kim has been a physical therapist for approximately 16 years. After obtaining a bachelor’s degree in psychology from Boston College, she went on to receive her master’s degree in physical therapy from Columbia University. She joined Encompass Health Braintree, formerly HealthSouth, in 2001. From 2003 until 2015 she was a physical therapy team leader on the spinal cord injury/orthopedic/complex medical floor. She became the director of therapy operations in 2015. Cathryn has a bachelor’s degree in communications and started her human resources career in 2007. Cathryn has a bachelor’s degree in communications and started her human resources career in 2007 when she began working for a restaurant chain in their risk management department. There she gained hands on experience in compliance training, general liability claims and worker’s compensation. In 2010 she accepted a human resources manager position with Boston University School of Medicine in the dermatology department. She provided all aspects of human resources support to the dermatopathology laboratory business, while assisting the vice chair of the department and overseeing their international fellowship program. In June 2015, Cathryn started her career with Encompass Health Braintree, formerly HealthSouth, as the director of human resources. Save the date for Encompass Health Braintree Rehabilitation Hospital's 40th Annual Neurorehabilitation Conference on November 16 & 17, 2019 at the Hyatt Regency Hotel in Cambridge, Massachusetts. No matter where our patients are in the recovery process, we can help. We develop care plans to meet patients where they are, including comprehensive inpatient and outpatient therapy services and treatments. Visit any of our locations to learn more.